The first look at the game’s Starfighter Assault mode has the Millennium Falcon, bright lens flares, and yes, Yoda manning a laser turret. The mode also appears to include Darth Vader and plenty of evil Sith, because what better way to use your super powered warriors than by putting them inside fragile space cans that have a penchant for getting shot down. The magic of space combat overlaid with a Yoda monologue, however, still gave me chills. This is Battlefront 2 after all, meaning that no matter what else, the game’s Starfighter Assault stuff will no doubt be some of the best looking and most beautifully sounding “pew pew” around. 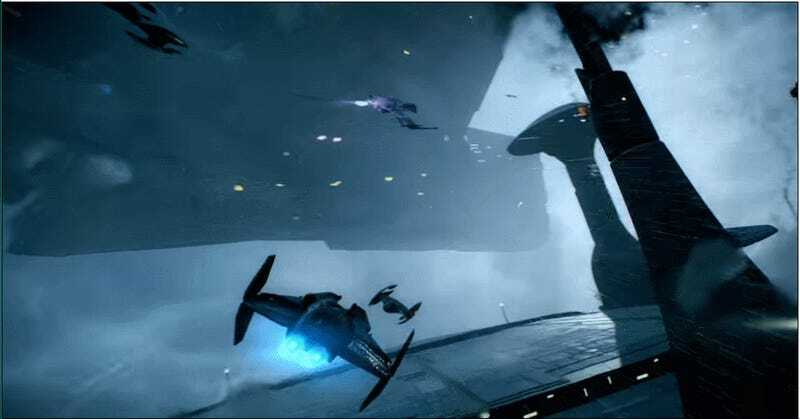 The trailer also indicates that places like Endor, Fondor, and Ryloth will be just a few of the locales available for hectic space battles. Of course, the trailer ends with a look at one of my personal favorite Battlefront levels, the research center on the water planet of Kamino. Not only does the stormy weather show just how beautiful sci-fi set pieces look in the rain, it also features what appears to be a Yoda vs. Darth Maul showdown. The game is set to release on Xbox One, PS4, and PC on November 17 with a beta set to run in the first full week of October.